Horses and kids do well together. I am speaking from my own experience with my sons. My parents are ranchers, they own a number of cows, goats, chickens, horses, donkeys, and Shetland ponies on over 1000 acres. 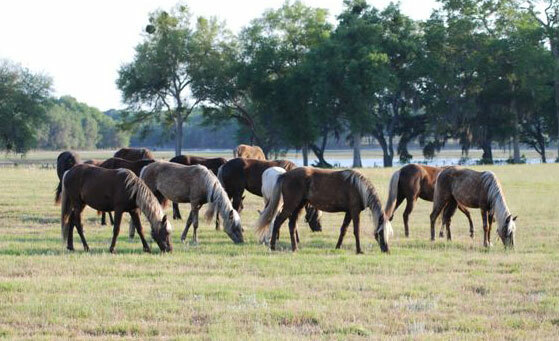 They breed and sell a specific horse breed…. Rocky Mountain Horses. This breed has a smooth gait and good temperament. Many parents have contacted my dad about purchasing a horse for a child with Autism or Asperger’s Syndrome. Horse therapy does wonders for these children. “Research into animal assisted therapy is fairly new. However, even among professionals who believe more research is in order, there’s a general consensus that therapy animals can be a highly beneficial addition to treatment programs for children with autism or Asperger’s. Equine assisted therapy seems to have the best results. The rhythmic motion of riding a horse causes the kids to focus on the movement – which is slow, deliberate, and relaxing. The child indirectly learns how to focus better, which is aided by the calming effect of riding. Some equine therapy ranches have a policy of letting the horse pick the child, rather than “assigning” the child and horse to each other. It’s a unique method that has had excellent results. A staff person will lead a child to a horse, and watch for the horse’s reaction. If the horse dips his head or nuzzles the child, it’s an indication that a bond is being formed and the child has been “chosen”. In addition to the movement experienced when riding the horse, tactile senses are stimulated. The horse’s skin is fuzzy, the mane and tail are rough, and the nose is soft. Discovery of these sensations often helps draw a child out, stimulating development of his or her verbal communication and interest in other physical objects.” Source. These findings are intriguing. I have 2 boys with very STRONG personalities. 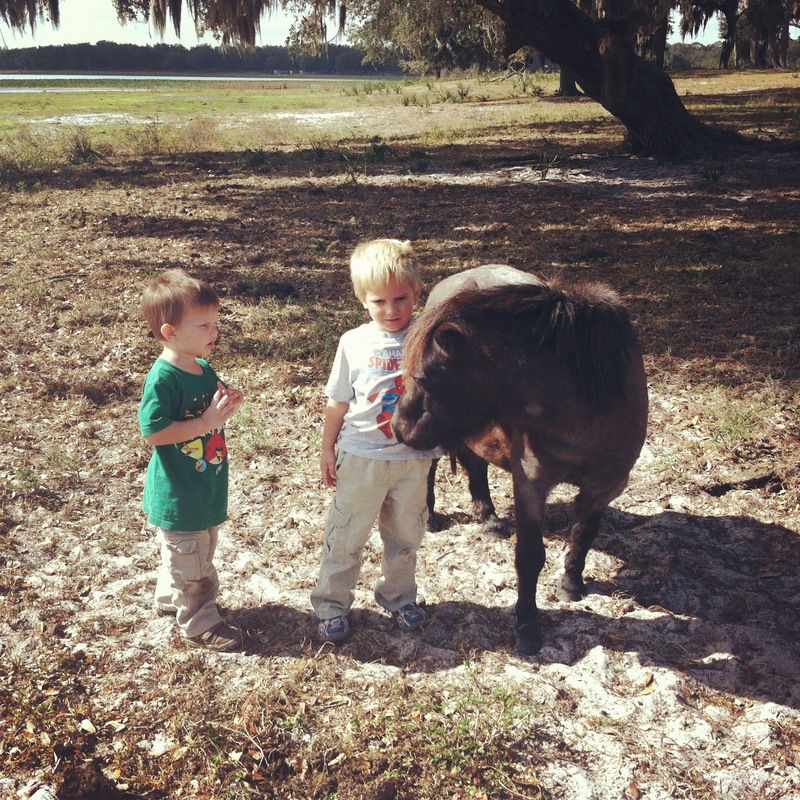 My oldest is particularly close to a pony named Oreo. He loves to ride him and spend time with him. He really misses him (now that we are in Ut). Oreo lives on my parents ranch in Florida. There may be a little Aperger’s running through our family bloodlines. As I read these studies, I can’t help but wonder if these therapies are a loud shout to parents, the government, and doctors everywhere. And the question is…why have we become so disconnected from nature and farm living? Our children’s generation (and even part of mine) is far removed from how food is grown, where our food comes from, how to properly raise livestock to nourish and feed families, and the importance of supporting local farmers and markets. 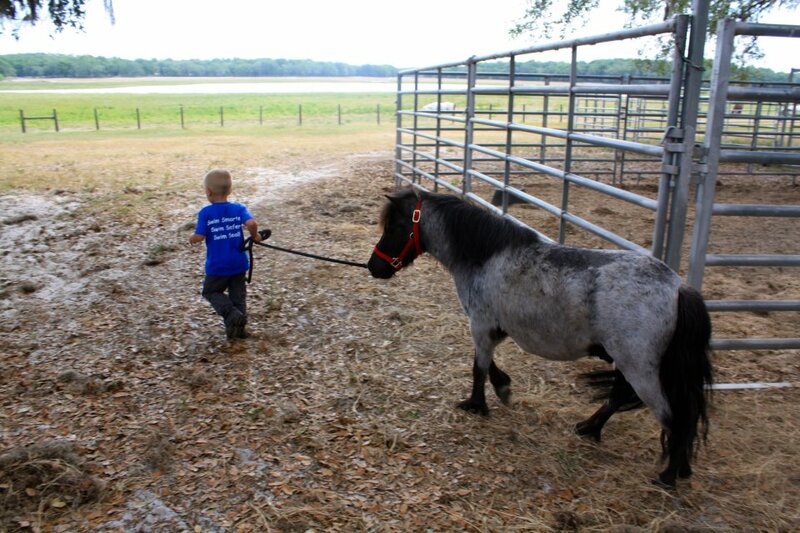 We can officially call this “horse therapy for kids with autism and asperger’s” but it is so much more than that. 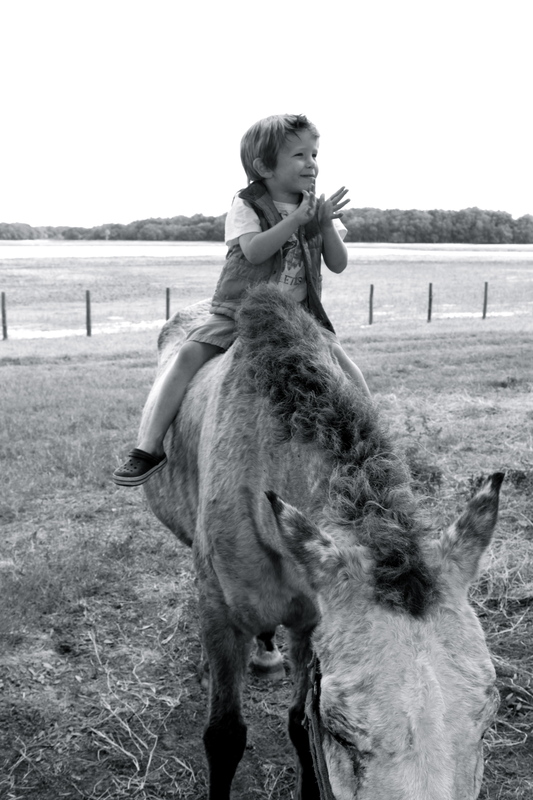 These kids need to be outdoors… playing with animals, planting gardens, riding ponies, collecting eggs, exploring nature, and eating real food properly raised. I wonder if we would see a drop in behavioral disorders and autoimmune issues…. actually I don’t wonder. I know that we would see improvement. This article states that there is improvement. I am so glad parents have discovered horse therapy and animal therapy. I am supportive of these studies. More and more parents need information and education because behavioral disorders are on the rise. My hope is that more parents realize children need more animal play dates and fewer nintendo/ Ipad play dates (which I am totally guilty of!). Certain animals have the ability to calm and soothe children. I know this is a fact for my oldest son. He is a different child around the farm animals. He is calm, confident, kind, open, and very loving. His sibling rivalry goes right out the window. 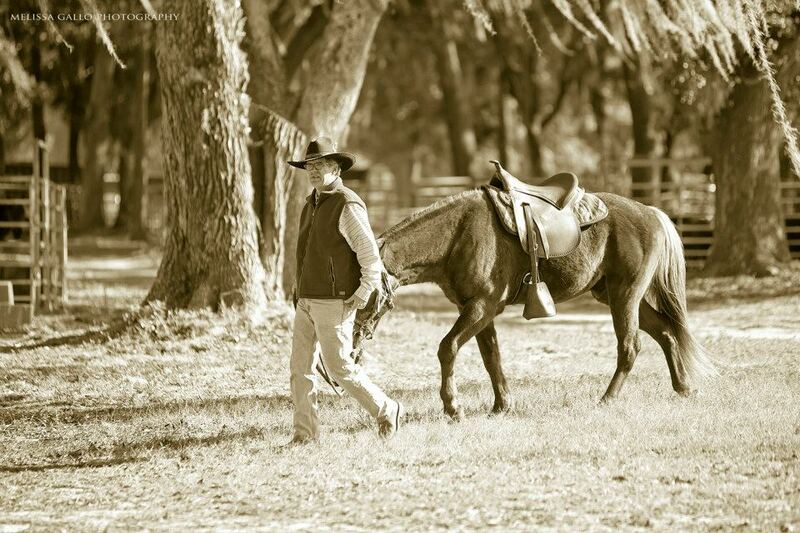 My dad…the horse rancher, cow herder, country man had this to say about the “Horse Therapy” theory. He is a real Horseman. As some of you may know, after a day or two in his high school psychology class, Raleigh felt sufficiently qualified to diagnose me with Asperger’s Syndrome. I have since read several books on the subject which do not necessarily confirm or negate Dr. Raleigh’s diagnosis (which I do not admit or deny). The best statement I have found on these and related “spectrum” issues was written by a psychiatrist who wrote “there are no disorders, only difficulties in living”. When Brittan was 9 or 10 we bought Zipper, our little Appaloosa, who just died last year after living beyond age 35. Zipper liked to buck, so I would ride the buck out of her and then usually put Ben on her for the next ride. After Ben’s ride, Brittan and Kaley would ride her. After Zipper got older her weight would drop off during the winter. The last 3 years of her life I would keep her around the house during the winter so that I could grain her twice a day. This kept her weight up, and we would let the grandchildren ride her, which she enjoyed. She got a lot of attention, love and care, and died peacefully after returning from a morning ride. Yesterday I was delighted to get to the Brooksville Farm to check on the cows. We spent the afternoon watching the cows and picking wild blackberries before meeting Lloyd and Joanne Jones for an early dinner at a little restaurant we enjoy in Brooksville. My grandmother (Sophronia) records that Daniel Henry Arline was an avid horseman and farrior. 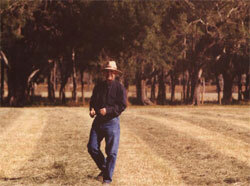 Before one of the family’s moves he sold his favorite horse, which he promptly repurchased after returning to Florida. Ernest Aman (my grandfather) was a horseman. Princess, his favorite quarter horse, was a family legend. Diamond Reo, a world champion and in 2009 sire of more world champions than any other Rocky Mountain stallion, is my favorite. Danette (who clearly does not have Aspergers) is now more enthralled with horses than I am, and has her own favorites, like Kentucky Lass (a world champion) and Oapie. There are some powerful horse (and/or cow) genes swimming through the family’s DNA pool. Be on the look-out for this in the rising generation. If you spot and facilitate it early (like Dad did for me), it may just help get the recipient through adolescence, adulthood and beyond.